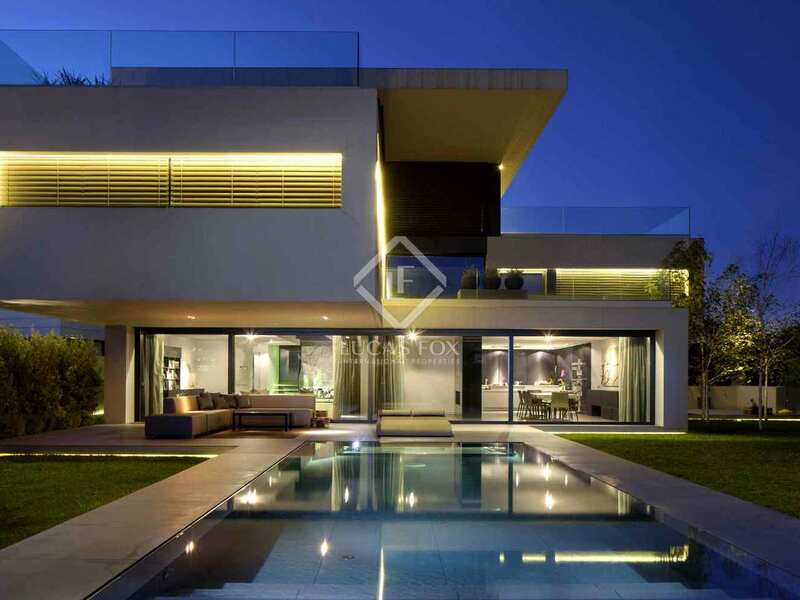 This truly spectacular contemporary home is located in one of the most sought-after residential areas just outside of Barcelona. 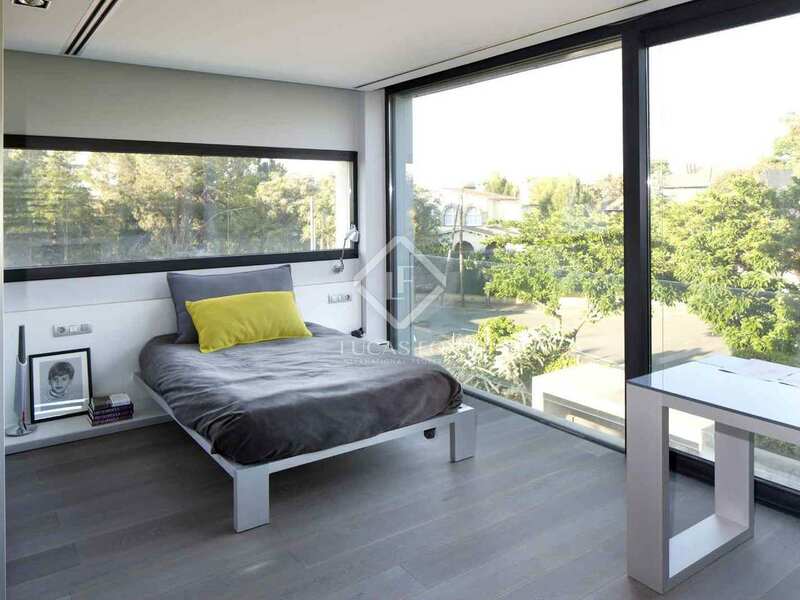 Close to the train station and international schools. 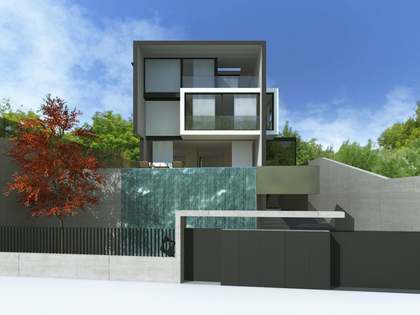 It would make an ideal family home. 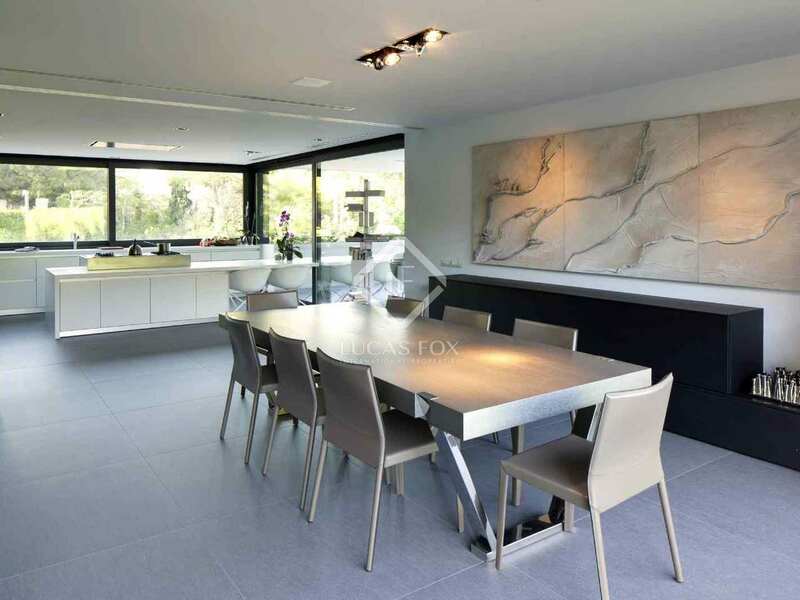 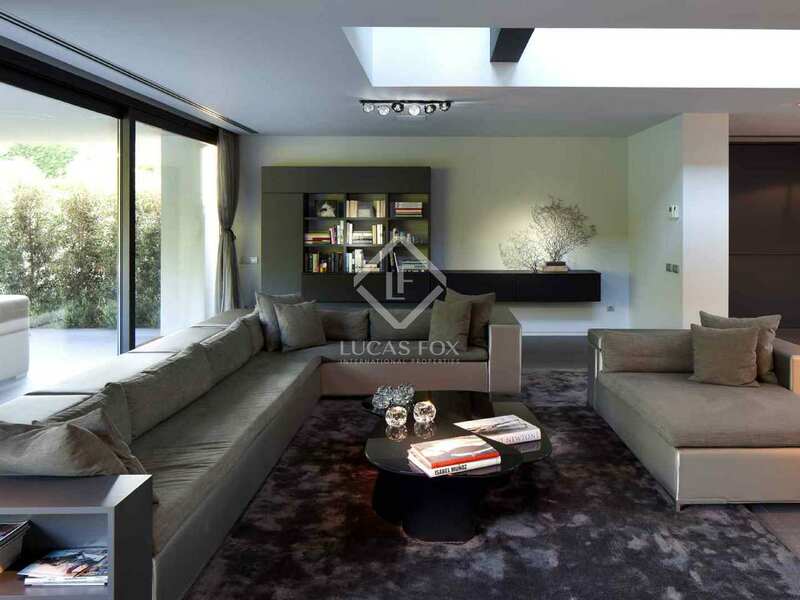 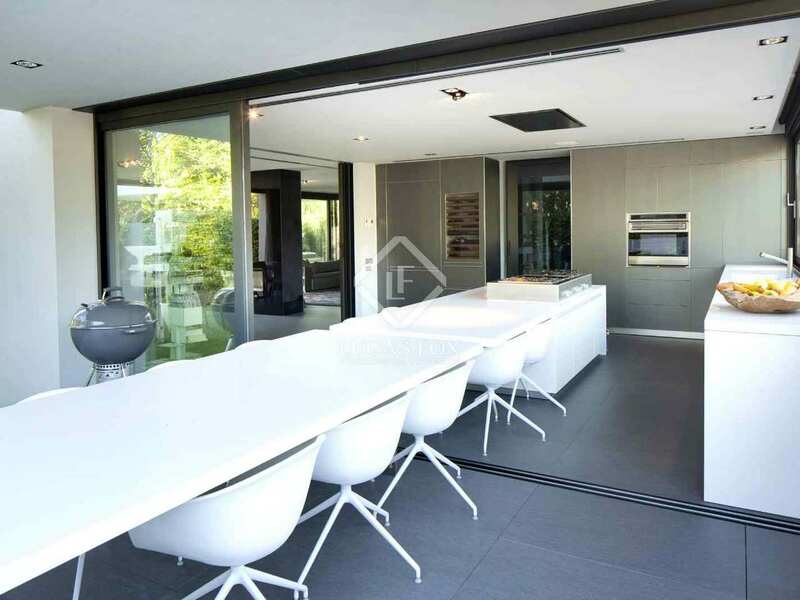 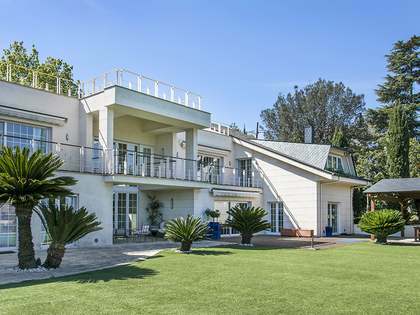 This magnificent designer property for sale in Sant Cugat was recently designed by a renowned local architect. 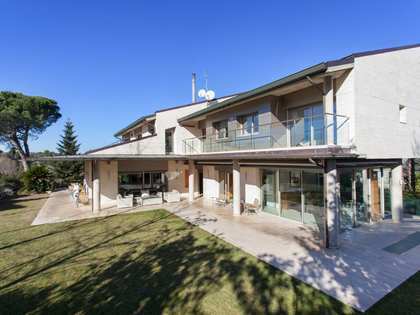 It comprises of 5 bright and spacious bedrooms, 6 bathrooms, spacious living/dining area and kitchen. 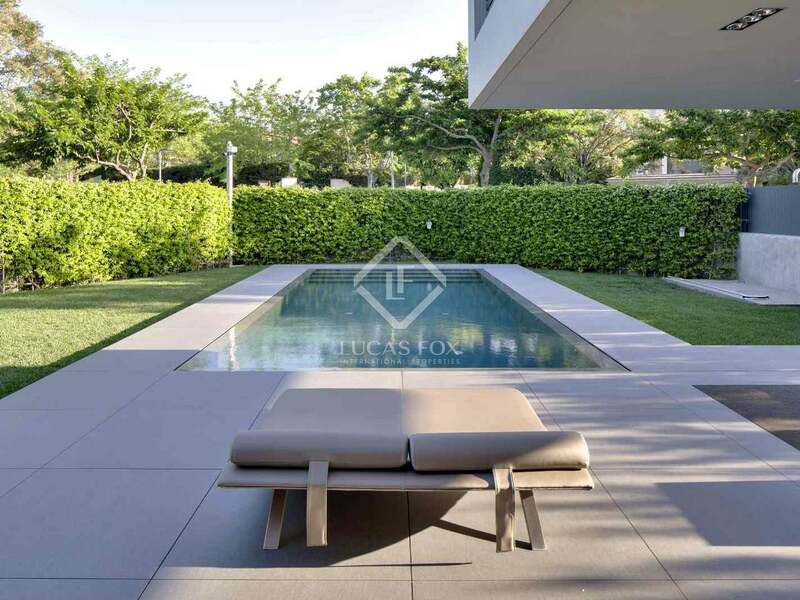 The 750 m² plot includes a wonderful pool with a viewing panel, terrace area with magnificent views. 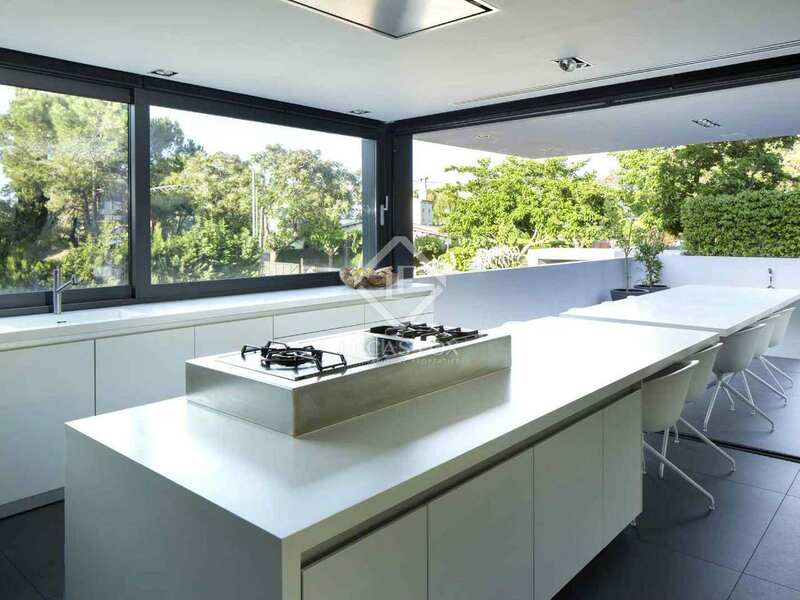 High quality materials have been used throughout including Gudman, Gagenau and Ad-notam finishes. 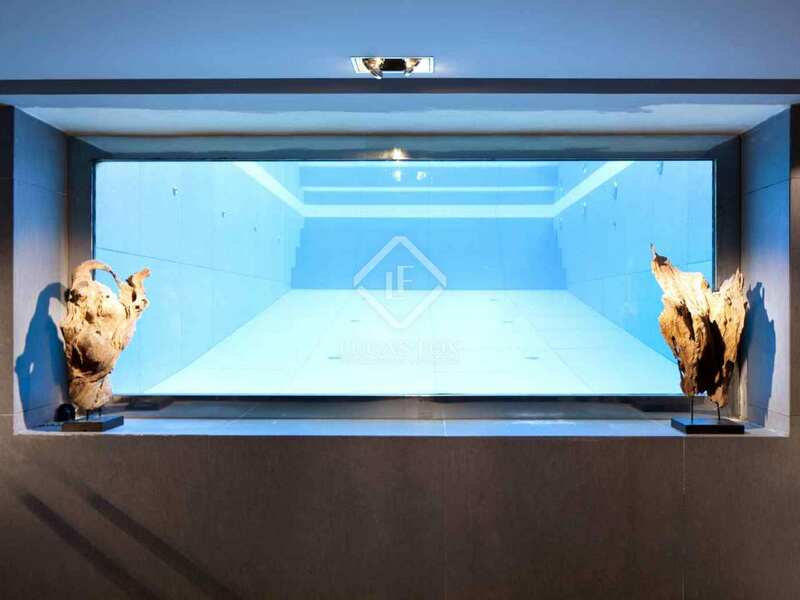 The property boasts plenty of modern features including a hammam, gym, home cinema, lift and swimming pool. 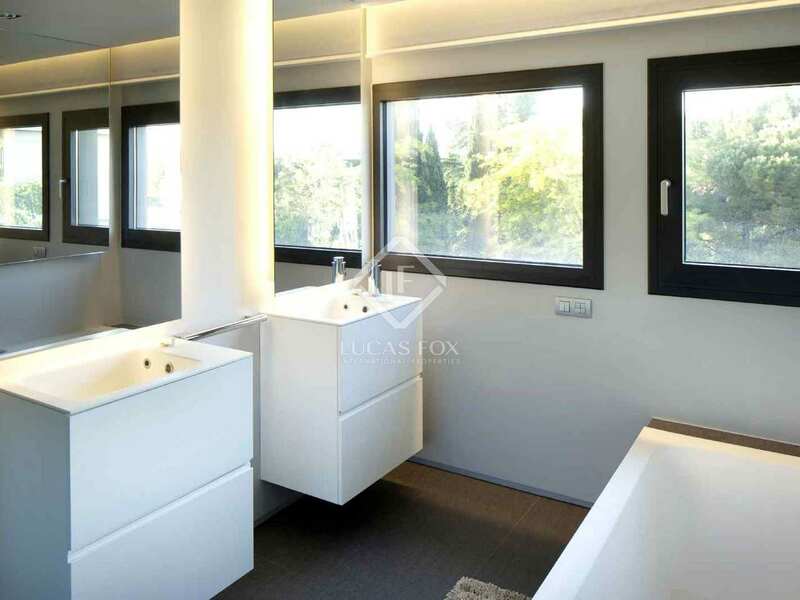 Close to International schools, the train station and a short drive to Barcelona, this is an ideal home for a family. 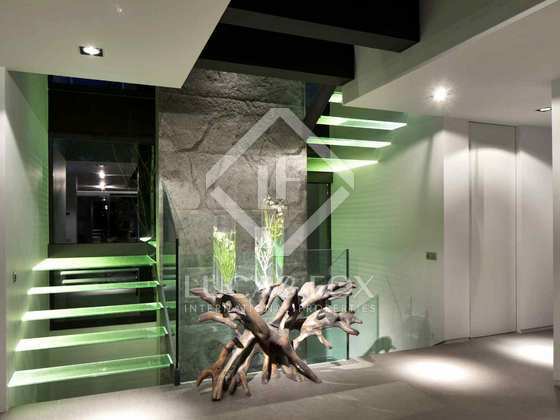 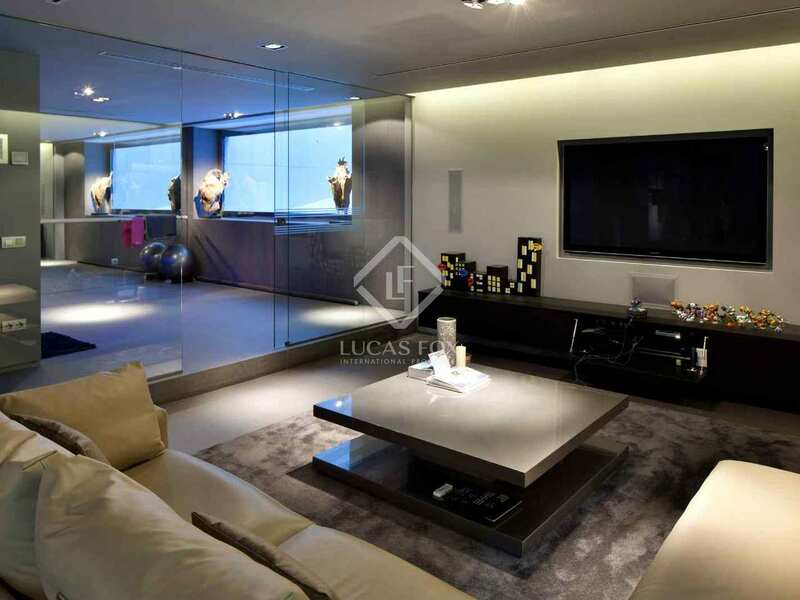 Located in a quiet residential area just outside Barcelona, surrounded by green areas. 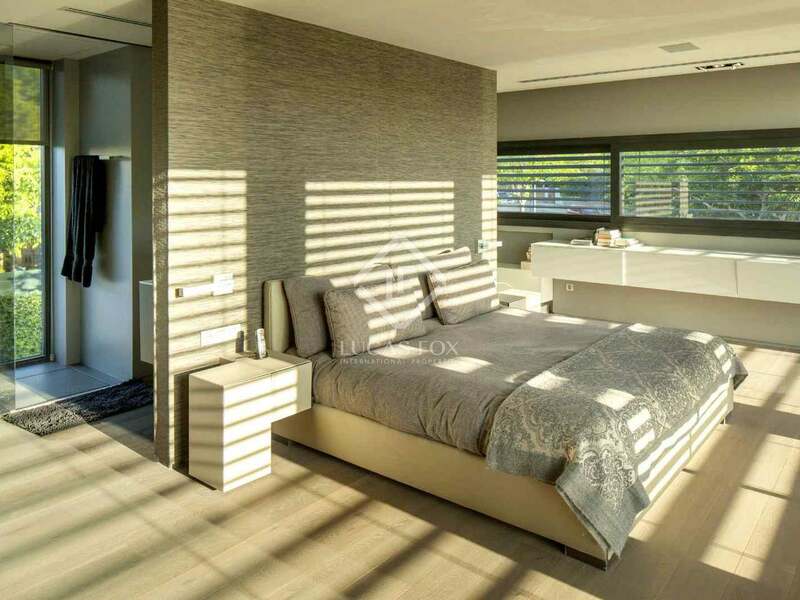 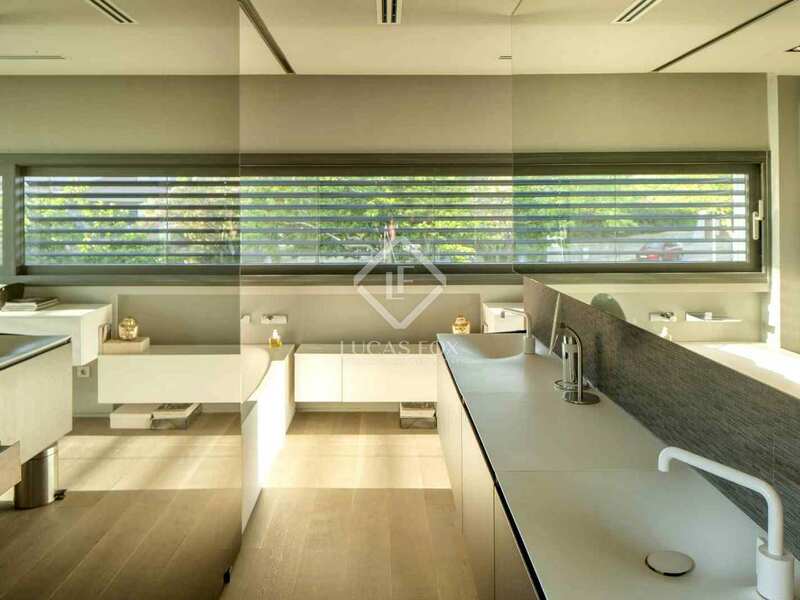 The area belongs to the municipality of Sant Cugat del Valles, whose inhabitants enjoy an excellent quality of life, as well as being within commuting distance to Barcelona city by road and train. 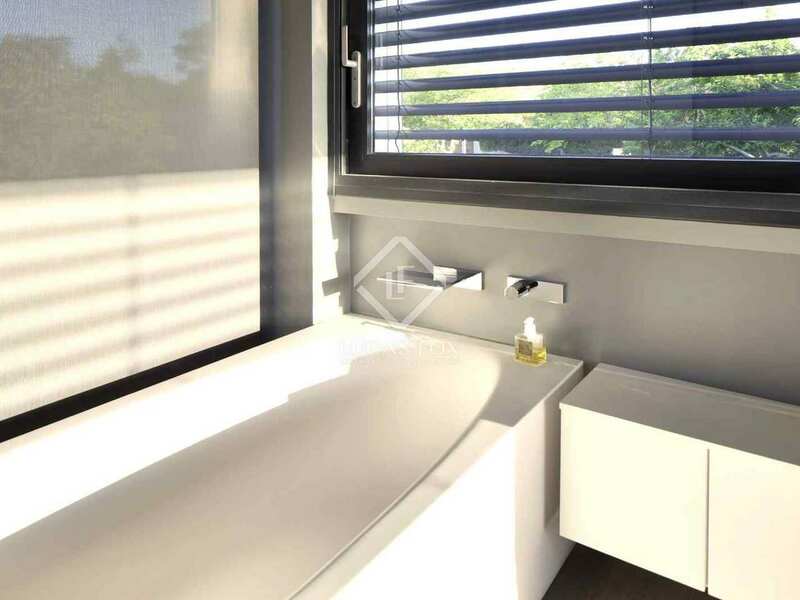 There is a wide range of shops in the area and all kind of services including leading International schools, golf clubs and sports centres.